Flevoland features the country’s largest nature reserve. The Oostvaardersplassen is a unique nature reserve located between Lelystad and Almere. With 56 km2 of protected marshlands and fields, it is the biggest wetland nature reserve of the Netherlands. 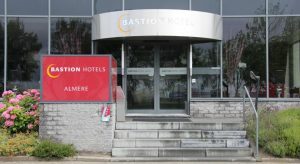 Centrally located in Almere, this modern 3-star hotel offers a luxurious and modern stay in a lively part of the city. The hotel rooms are attractively furnished according to the latest styles. This property is 9 minutes walk from the beach. Centrally located in Almere, this modern 3-star hotel offers a luxurious and modern stay in a lively part of the city. The hotel rooms are attractively furnished according to the latest styles. A comfortable box-spring bed offers a good night’s sleep in these quiet rooms.Guests have access to their own private bathroom with a rain shower and toilet. The hotel also offers a restaurant with a bar and lounge. At walking distance from Hotel Finn, there are also various other cafés and restaurants. The shopping centre, the theatre and the casino are also just a short walk away. 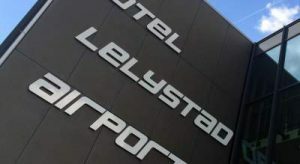 Hotel Lelystad Airport is a 3-star hotel at the largest airport for small aviation in the Netherlands. The hotel is located at the main entrance of the airport. The hotel is located at the main entrance of the airport. 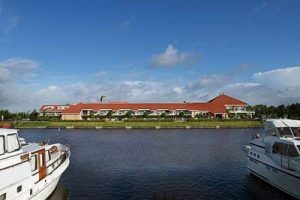 Because of its central location in the Netherlands, the hotel is very suitable for all your overnight stays, both business and leisure. 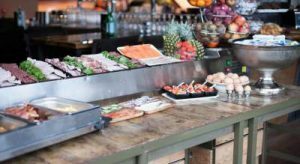 At restaurant De Kokpit, guests can enjoy an extensive breakfast buffet every morning. There is a restaurant near the hotel, where guests can have lunch and/or dinner. All rooms have free internet access, air conditioning or windows that open, a king size bed and a bath. Oostvaardersplassen Nature Reserve in the Netherlands. Oostvaardersplassen is a nature reserve in Flevoland, middle of the Netherlands. It is under management of the State Forestry Service and created in a polder in 1968. I received the status of a Ramsar Wetland in 1989. between reedbeds there are wet and dry areas. A large herd of Konik ponies and lots of red deers. Take A Break Holidays takeabreakholiday, Flevoland Accommodation.